So much for measuring. 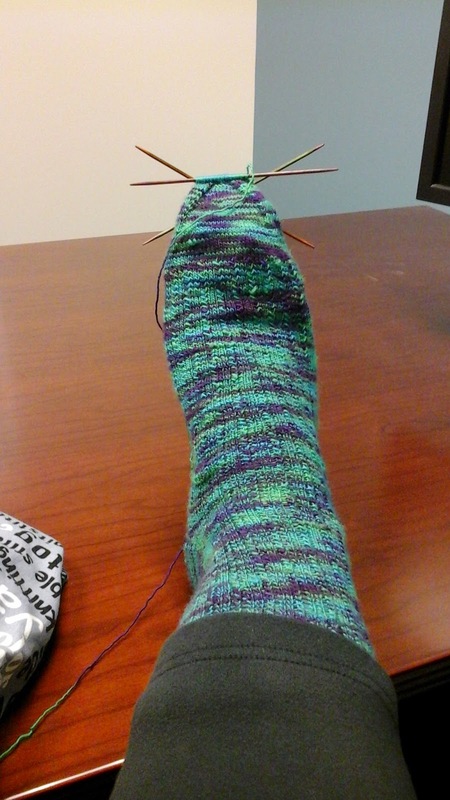 I tried to knit the sock by measurement only, and I needed the sock to end where I started the toe. Oh well...it is easier to rip back some days. At least I did not cut the yarn and graft the toe already. And this also means I am almost done with the first sock of the pair. Yay!